Took my girls to the circus tonight. It was amazing! We all loved it! What a very talented bunch of people! Would absolutely recommend it! As my 6 y.o said is was the "best night ever!" Wow this is a great show and I really recommend it. My elderly father attended and nearly fell off the chair as he was laughing so much. The commical antics of Squiggy the Clown, Aerial Artistry of Chantel, the incredible High Perch and elgant contortion were just a few acts which just keep you captivated. A fantastic family show!!! Come and support them!!! Saw your show tonight, loads of laughs, fabulous night out with the family!!! Thank you so much and see you all next time!!! Hi guys, would like to say how much we enjoyed tonight's performance! I have 4 kiddies and they thoroughly enjoyed it. What a talented bunch you all are. Thank you for making it a wonderful night to remember! My family and I have just now returned from a performance at Ashton’s Circus. IT WAS AMAZING!!!! It was a total ADRENALIN RUSH!!! There were moments when my heart was in my throat. And I was left breathless. And the Clowns were so funny. I laughed until I almost cried. The performers are fearless. And their skills are mind blowing. We all thoroughly enjoyed every moment of the performance. And after the show, it was just a buzz for all of us to be able talk to all the performers. They were only too happy to talk to us all and take photos with the children and give them autographs. 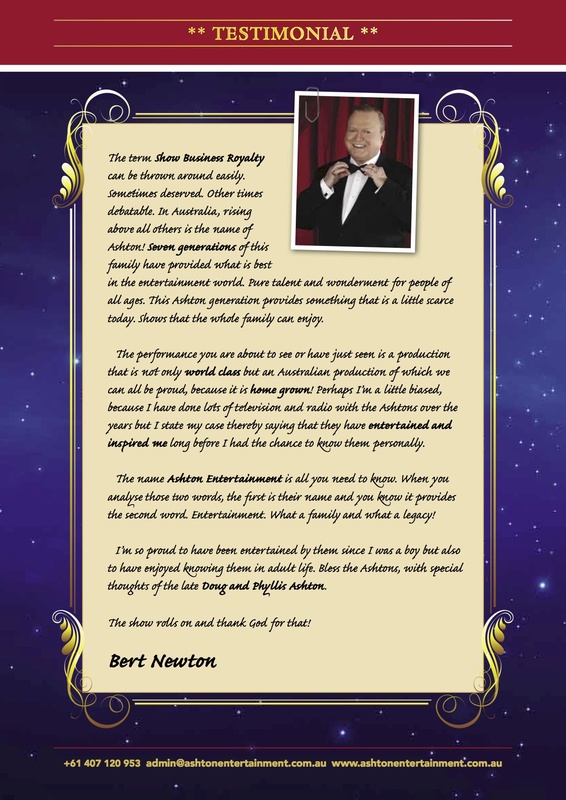 All of the staff of Ashton’s entertainment were friendly- old fashioned manners and friendliness are alive and well at their performances. When they come back next year, myself and my family will be there. We look forward to catching the show every time they come back to our area. For a great and affordable night out, do yourself a favour, grab the family or a group of friends and catch their show. You will not be disappointed. You will come away feeling as thrilled as we do. Don’t miss out, we booked by phone and picked them up from the ticket lady (really nice lady as well). We booked our show for a seating of 8 on the very 1st night on Friday the 1st of August 14' and it was absolutely great such an enjoyable night the clowns were crazy n cute and the girls doing trapeze were breath taking .... have watched alot of footage since on youtube and this also takes my breath away the absolute talent over 7 generations is FANTASTIC!!! BIGGEST Thumbs up from the Edwards Family !! Just been to see you guys at Mudgeeraba... you guys are the best multi-taskers out! Awesome entertainment, thanks for a great night!! Great show tonight my 1 and 3yr old specially loved it, see you next time. Kids had a blast today at your show,was a fun filled afternoon. Thanks again. AH-MAY-ZING!!!!! Job well done tonight guys, brilliant.... Loved every second of it!! Thank you to all the wonderful people at Ashton entertainment for a fabulous night. My daughter is in awe of you. We thoroughly enjoyed your show in inverell today. The kids went to bed totally exhausted but still talking about how clever you all were. You guys have done amazing! Thanks so much for a wonderful time! Esther is still raving about the acrobatics and Ollie is still performing the telescope routine! Good luck!!! The most amazing performers that draw the audience in from start to finish. HIGHLY RECOMMENDED show. Wow! Thank you so much for such amazing evening! Brought my 4 boys and had to drag the 14 and 12 year old who were not keen at all to be there... that all changed pretty quickly right on 7pm when the excitement began! What a wonderful experience! You were all brilliant! Incredible! My boys haven't stopped talking about it. On behalf of my family, thanks for the Glen Innes performance tonight. I loved it. Would love to be able to know all the artists behind the music during the show because the music was awesome and would love to listen to again. Absolutely amazing talent. Loved the show guys, definitely recommending it. Thanks for the great show! Kids and I had an excellent time! Very enjoyable show at Redland bay today, both kids and adults enjoyed. Thank you, great fun. You are a talented team. Thank you. Fantastic night and fantastic acts. Thanks for coming to Redland Bay! My 6 year old daughter was memorised and wants to learn to do the aerial silks. I went tonight with my two kids to the Capalaba show, have to say from ringing yesterday to making a booking really lovely conversation with the lady who I'm sure was the MC tonight , to having my kids laughing lots and loving Ziggy, to watching the breathtaking Chantelle until the very end of the show I couldn't fault a thing and highly recommended this circus to all, thank you for a great night will definitely be a return customer !!!!! We had a wonderful time at the circus. Thanks so much to Ashton Entertainment and the lovely Ashton-Rodriguez family. All the kids left with prizes and were very proud of their autographed programs. What an amazing experience! Was fantastic thank you. The kids loved Squiggy! My 9 year old loved the history, we looked it up on your website while waiting and seeing grandparents helping younger ones. A credit to you all. Thank you for the fantastic experience. 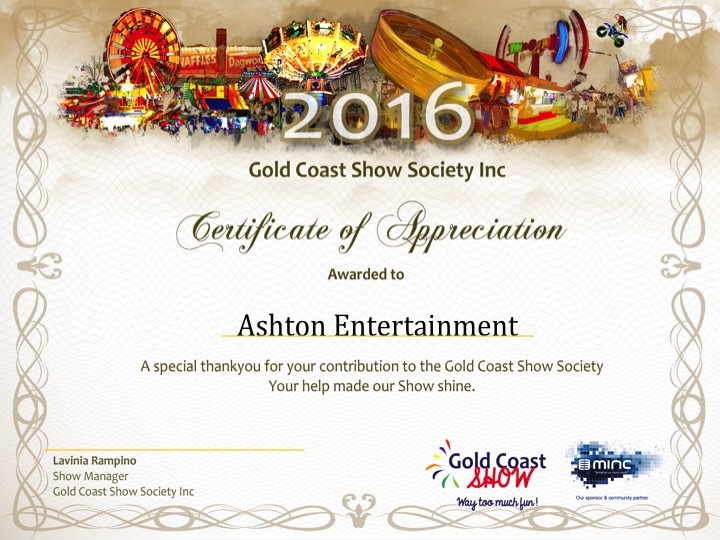 We would just like to give a BIG shout out to the Ashton Entertainment Circus Cast for your hospitality and friendliness towards ourselves and our 2 boys. 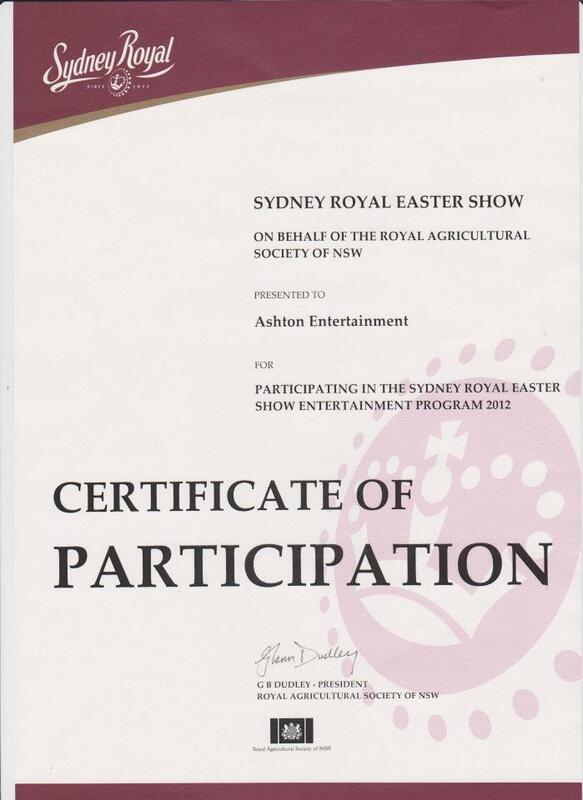 Thank you for allowing them into your travelling community for the time period that you guys were in Redland Bay and showing them what entertainment is all about. The impression that we got from them after each visit was how kind and warm hearted you guys are. Also thank you for inviting us to your show. We thoroughly enjoyed every minute of the show and it was a GREAT pleasure to meet you guys in person. Ask us about hiring our circus acts and big top tent!